First published in The Asia Literary Review: No. 9, Autumn 2008. 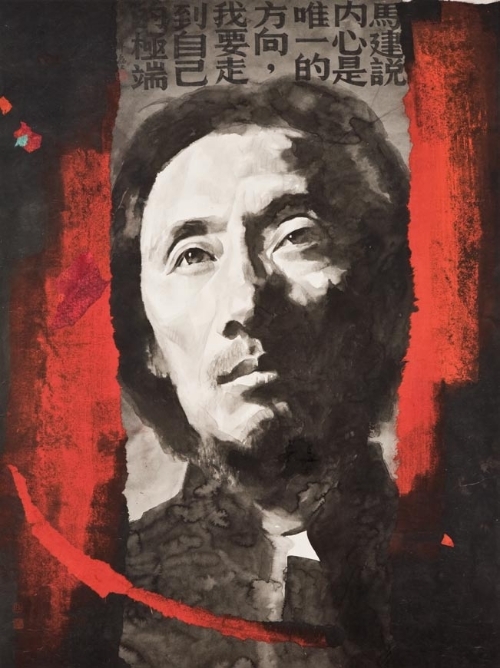 Image: 'Ma Jian – a Chinese writer,' by Qu Lei Lei (ink on paper, 94cm x 126cm). Image courtesy of Zee Stone Gallery, Wyndham Street, Hong Kong. This is not the first time that Ma’s creative endeavours have fallen foul of the Chinese government. When he began his artistic career in the 1970s as a painter and a photographer, his exhibitions were frequently raided and shut down by the authorities. Turning to writing as an alternative, Ma’s first short story collection, Stick Out Your Tongue, was banned (so he explained in an afterword written in 2006) as a ‘vulgar and obscene book that defames the image of our Tibetan compatriots’. The resulting campaign drove Ma into self-imposed exile – first in Hong Kong and now in London. He has always returned regularly to China, however, and in May 1989 he attended the student protests in Tiananmen Square. Ma was forced to leave the demonstrations when his brother fell into a coma and he returned to his hometown in Chengdu. These two incidents dovetailed to form the inspiration for Beijing Coma. Our protagonist is Dai Wei, an unexceptional young man whose entire existence is determined by the volatile political and cultural atmosphere of his nation. As a child, he loses his father to the Cultural Revolution (he is interned in a labour camp); as an adolescent, he loses his first girlfriend, Lulu (the couple are arrested after their ‘secret love affair’ is uncovered); then, as a young adult, he all but loses his life to a bullet fired during the bloody confrontation between government soldiers and student protesters in the streets surrounding Tiananmen Square. When we met on the eve of the nineteenth anniversary of the Tiananmen massacre, Ma told me of his fascination with the unstable role that memory plays in connecting the past to the present, and that ancient conundrum of whether the mind rules the body (‘Your conversations with the past stir your muscles from their sleep’) or the body rules the mind (‘If your brain produces a little more protein, the fluid that has been blocked will flow again, and you’ll be able to return to the world’). JK: I noticed that during the early part of Beijing Coma, there was an appearance in the story by a certain novelist called Ma Jian. Why did you include yourself in the story? FD: You know what? There were so many drafts of the novel. Ma Jian put it in the original, and then had second thoughts and took it out. I said, Go on, put it back. So it was my fault [laughter]. JK: Beijing Coma has been very well received by British and American critics. What are the chances of it being published in China itself? MJ: It’s very unlikely that it will get through to the Mainland other than by unofficial means. It is very unlikely that it will be sold in China. There are two Chinese-language publishers in Hong Kong that have close ties with the Communist Party, and they are able to sell their books in China. The only chance is if it could be published through them, but I think it is very unlikely. I do want to publish the book in Chinese, and I would like it to come out next year on June 4 – the twentieth anniversary of the Tiananmen massacre. Then, I would like the book to be freely available in Chinese on the Internet. I feel that the twentieth anniversary might be an important transition point in China, and that there might be big changes within the Party itself. I think there might be moves to rehabilitate Zhao Ziyang, who was one of the prime liberal leaders during the Tiananmen movement. This might be a point where they re-evaluate the Tiananmen massacre. There would be more hope for Beijing Comaat that time. I hope the book would be part of the process of re-evaluation. JK: You currently live in London, for the most part. Tell me about your early career as a writer. MJ: In fact, I started as a painter. For the first thirty years of my life, from a young age, I was a painter. I was drawn from this career to photojournalism. What appealed to me about photography was that it allowed me to catch in one split second areas of life that are usually neglected, to capture in one frame these little corners of life that no one notices. JK: Did painting bring you into conflict with the authorities? MJ: When I was living in Beijing in my late twenties as a bohemian artist, I would organise private exhibitions of my paintings. For that I was detained by the police. When I would hire a life-model, both the model and I would be arrested. I got fed up of continual interference by the police. In my thirties, I decided to give up painting and photography and concentrate on writing. I found with writing that I didn’t have to expose myself in the same way. It was an inward process, not an outward one. Painting and photography push you outwards, whereas writing forces you into your own private world. I felt more comfortable there. JK: Did painting exert any influence on your novels? 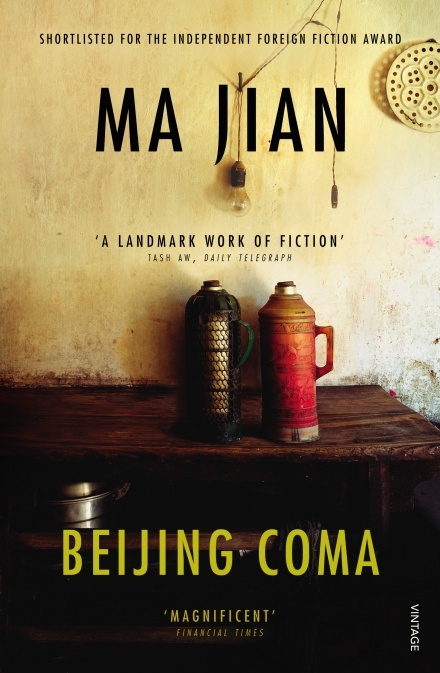 The prose in Beijing Comapays vivid and visceral attention to the body, and to the landscape of Beijing and China. MJ: I am a writer who starts from a visual image which I then transfer into words. The writing process in Chinese is very similar to the act of painting. The process of writing in Chinese characters is a very visual exercise. Before writing Beijing Coma, and especially the passages about cells and the anatomical descriptions, I would first jot these shapes of the cells, synapses and arteries on a piece of paper. It would remind me of physical landscapes, of mountains and rivers. I would start from a picture and then I would write about it. FD: Yes, his whole office for ten years was just pasted with blown-up images of cells and synapses. That lived with him for ten years. JK: Having decided to swap painting for literature, how did you find life as a novelist? MJ: In 1987, when I began writing in China, all the novelists were searching for freedom of expression. At the time, they had a very unclear understanding of what democracy meant. The only understanding of freedom was to grow their hair a bit long, and wear sunglasses and denim jeans. Apart from that it was very foggy. I did all that, but for me the greatest act of rebellion was to leave the centre – leave Beijing – and travel. It was very difficult at the time. I left and went wandering around the country for a few years and ended up in Tibet, which was the furthest place I could imagine. The idea of leaving China was inconceivable. It was something that only high officials could do. We also had the idea that everyone beyond the boundaries of China was an enemy. JK: Those experiences resulted in the collection of short stories Stick Out Your Tongue. How did they come about? MJ: When I wrote Stick out Your Tongue, I didn’t have any clear concept of what I was writing about. It was just this desire to write freely. Two months before Stick Out was finally published, I managed to leave China after the government waged an enormous political campaign against it. That was what made me realise for the first time how much I had to learn about the real meanings of democracy and freedom – and about how writers must confront their history. It was only then that I realised what I needed to write about. JK: Where did you go? MJ: I moved to Hong Kong. It was there that I realised all writing should have a purpose. I realised I came from a generation that had been brainwashed. When I first arrived in Hong Kong, I camped out in a bookshop for six months and read all the translations of foreign books. I realised there were all of these great gaps in my knowledge, and that I had to read widely to be able to understand my own place in the world. JK: How long did you stay? MJ: I arrived in 1987 and lived there until 1997. I was travelling back to China the whole time. The first two times I tried to return to the Mainland, I was detained at the border. My movements were monitored, and I had to register at the local police station. Since then, I have been free to go back. I have never been refused entry. JK: What impression did your decade in Hong Kong make on you? MJ: The strongest impression I had was that people were suddenly individuals. In China, everyone was part of a crowd, everyone was pretty much the same. In Hong Kong, people had a sense of their own individual consciousness. The first two years were quite difficult. To live in a society where people didn’t always want to control you or look at you was very uncomfortable at first. I didn’t know what to do. JK: You sound like you almost missed the control and the interference. MJ: In China, you felt like you were in one big drama. You lived in constant fear of arrest, being reported upon or being watched. You felt like you were living on a stage. It was a heightened experience. In China, everyone has to put on a mask when they go out of their homes. They have to learn to lie when they are in the office, to be constantly acting a part. Then you return home and you have to be a different person to your wife or your girlfriend. Living in Hong Kong, I felt like there were no challenges and dangers. JK: How does London compare? MJ: It is very boring. [Ma Jian laughs.] But moving to London helped with writing Beijing Coma. Not being able to speak the language and being surrounded by sounds I didn’t understand allowed me to write in a way that had more connection to my own personal life. In fact the last third of it, I wrote very quickly. JK: Was the composition process difficult before this breakthrough? I have read that Beijing Comawas ten years in the writing. MJ: When I got a third of the way through, I felt I had reached the end. I felt almost suicidal. I thought this book wasn’t for me. I didn’t know what to do with it. I took a break. I had entered this world too much. I had to rise a little above it. When I returned to it, I had to stay more distanced. JK: What made it so difficult? Was it the subject matter – the Tiananmen Square protests at which you were present – or the technical demands of a novel which is both epic in its length and breadth and microscopic in its attention to detail? MJ: The research was very painful. I had to read every single book, every document that has been written about Tiananmen Square. I have spoken to every person I could find who was involved – every student leader, friends of mine who were there. I had to know every single person’s experience. It was a very, very painful project for me to take on. JK: Tell me about your own memories of those weeks. MJ: I was a survivor of these events. I wasn’t injured. I wasn’t hurt. I came out of these events alive. What I was left with was an enormous feeling of despair and horror. I was there throughout the end of April and May. Four days before the massacre, I went back to my hometown in Qingdao because my brother had fallen into a coma. He was trying to cross the street and caught himself in a washing line. He knocked his head on a concrete slab. I use that story in Beijing Comaas one of the excuses Dai Wei’s mother invents to explain her son’s coma. I had to leave Beijing. If my brother hadn’t had that accident, I would have been there right until the final day. JK: What do you remember most about your time in Tiananmen Square? MJ: It was like a carnival, a big party. There was a dream-like atmosphere, but there was always the sense of looming danger. The students themselves had no memory of how such events had ended before in Chinese history. They believed, right up to the end when there were 200,000 soldiers in the city, that nothing would happen to them. They were living in some sort of fantasy realm. Beijing Comais for this generation, to make sure these events never happen again. JK: Did your research shed any new light on the origins of the protests? MJ: The big change happened in the 1980s and 1990s. Mao had destroyed the idea of family. There was no escape from the state. The “Tiananmen Generation” was the first that had those constraints relaxed. People were able to fall in love and have relationships. Their emotional lives became a tiny pocket of freedom. Sexual liberation was an act of rebellion in itself. The liberation of China started from these tiny nuggets – sexual liberation, relationships that were not controlled by the Party. This rebellious spirit was concentrated on relationships. Then when Hu Yaobang died, the students diverted this desire for freedom to the political arena. It was transformed into a desire for political liberation. JK: You describe the final days of the protest and the tragic confrontation between the students and the government in vivid detail. How did you go about recreating those events in absentia? MJ: I had to research them through books, through the Internet, through speaking with the student leaders and everyone who had been through it. I discovered that the people who had lived through it had been unable to write about it in any true way. It was such a traumatic, horrific event, that one needed distance in order to write about it. Experiencing it would have numbed you. As a bit of an outsider, I was able to come at it from another direction. JK: Do you believe it is the duty of artists to look at subjects, events and emotions that others simply cannot face? MJ: I think that writers and artists possibly have more sensitive cells than other people. A writer is almost doomed to confront the painful episodes people experience: the painful past. When you look at writers in the past, even if they have lived very comfortable lives, they have in essence been living tragic lives through their works. Whether it is Dickens or Shakespeare, at the heart is a sense of tragedy, and an understanding of tragedy. Perhaps that is why a lot of artists end up killing themselves. JK: In another sense, Beijing Comacelebrates the resilience of the human spirit, and the power of the imagination to liberate an individual through the character of Dai Wei. Having been shot in Tiananmen Square, he falls into a coma, but explores time and space through his mind. Is his condition analogous with your own creative endeavour? I notice that both last for ten years. MJ: I had to completely enter the world of Dai Wei. I had to experience the world through the cells of his skin. The feeling of being trapped inside the body, the despair you feel that all your orifices – your nostrils, and ears, the holes that lead to the outside world – are not an escape route. You somehow want to escape but are not able to. A terrible feeling of entrapment. I had to enter that state of mind and develop an awareness where you could hear a fly a hundred metres away flapping its wings. JK: You said earlier that after you moved to Hong Kong you realised novels should have a purpose. What would you say the purpose of Beijing Comais? MJ: One of the purposes of this book was to make history come alive again. I wanted to allow the individuals involved to have a dialogue with the reader. 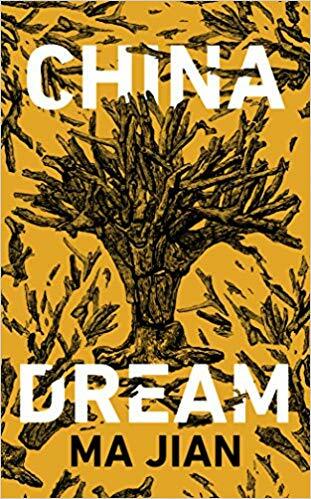 I wanted this book to be like a spore of yeast that would then be able to ferment and expand, that would be able to have a life of its own and grow. But this sounds very pompous. When it comes down to writing, that is not what I have to deal with. It is hard work. It’s about structuring the book. It’s all the research into neuroscience. It’s how to describe the ten years this man lies in a coma. It’s how to link his physical state with the reality of China in those ten years. It is how to bring out the absurdities and surreal aspects of this. I may have this elevated purpose, but I have to get to the nitty gritty of writing. It was only when writing this book that I realised that I would have to start with the minutest cells of people’s bodies and then go onto writing about the flesh. And then once I wrote about the relationship between the mind and the flesh, I realised every detail of our lives is hidden in the cells of our bodies. And the process of retrieving all these tiny details and memories, and bringing them all together, is what gives life its meaning. The meaning of our lives is hidden in the details which are themselves hidden in the cells. I feel that for most people life can be very boring and mundane. But when you look back on your life and delve into your past and retrieve all the tiny details, these memories are the only things that you truly possess. And when you look back on these very mundane events of your life, and you reflect on them, you see their great importance because they are the only things that you possess. One realises, when one reflects on one’s past, the need to cherish these mundane details of your life. JK: Can you give me an example from the novel? MJ: The bird that perches on Dai Wei’s arm [in the final pages of the novel]. Just one little scratch of the bird’s claw might remind him of how his girlfriend might touch him. This very mundane little detail could bring to mind something that has transcendental or divine meaning to him. History is made up of everyone’s individual histories. It is a compilation of these billions of different histories. I read a story about a mother in the Sichuan earthquake who protected her child by leaning over it. She knew she was going to die and a few minutes before, she used her mobile phone to text a message that read, ‘I know I am going to die but I want you to know I will always love you.’ Then two days later the rescuers came and found the mother dead, but the child was alive. And they had this mobile text message. It moved me very much. The great things in life can be brought about by the most ordinary people. The so-called celebrities getting married or breaking up seem very boring to me. JK: Did you intend the intensely physical nature of Dai Wei’s experience of the world and his past to have a corresponding effect on the reader? MJ: Yes, absolutely. One of the reasons I was writing about this man in a coma is that it allowed me to describe this heightened experience. Even though he is blind, he is hypersensitive, he has eyes all over his body. I wanted the reader to enter this hypersensitive state, and to realise that one must not only be sensitive to one’s physical environment, but also to what one has lost – all the memories and history that one is burying. If you lose this sensitivity to the past, or to your physical environment, you become nothing more than a walking corpse. While lying in his bedroom, Dai Wei is aware of the plastic fly-swat hanging on the inside of the toilet door, of the little splash of toothpaste on the mirror. The mundane details that people usually ignore. I wanted to convey how people live life in a trance-like state, in a very slapdash way. I wanted these descriptions to make the reader realise how much one is unaware of. I wanted to make them realise how much they are blind to, how many details of life they have lost. It is only when you have a chance to remember them that you can form a true picture of what life is. If you don’t pay attention to these things, you gradually come to live in a state of numbness. JK: Does this suggest a political subtext to Dai Wei’s coma? MJ: I did want to juxtapose Dai Wei’s process of gradual awakening, of becoming more sensitive to the outside world, with the process of gradual numbing that China is going through. So when they intersect at the end, you realise that if Dai Wei is to awake he will return to a deadened culture that has no memory. When Dai Wei struck his head, he fell in the political centre of China. When he wakes up, he finds himself in a shopping centre. There is no place left for him. All that is left at the end is the skeleton of a frog – which represents his guilt and his shame – and the bloodstained letter that may or may not be from his ex-lover A-Mei. That is the riddle of the book. All that he’s left with is guilt and a mystery. FD: [laughing] Don’t give away the ending of the book. JK: In your view, how has this process of gradual numbing come about in China? More specifically, how have the events of June 4 in Tiananmen Square been wiped from Chinese history? MJ: The forgetting of these events has been a state-managed exercise. The Chinese government has been very successful in erasing these events from the text books, from the newspapers. Even the soldiers who crushed the students, and who were celebrated as heroes, can’t talk about them. You can’t mention the words ‘Tiananmen massacre’ or June 4. They have been very successful in wiping these events from people’s memories. Either people have no knowledge of these events or, if they do, they have no interest in talking about them. Or they believe the government was right in crushing the students. They think that if they hadn’t done that, China wouldn’t be as prosperous as it is today. JK: What options do people have? Is there any way to discuss the Tiananmen massacre openly in modern China? MJ: The Party has given you two doors. One, you can choose to remember these events, but you will then face severe problems. You may destroy your family. You risk being arrested or having people knock on your door at any moment. You can do it, but you have to face the consequences. Or, two, you can choose not to talk about these things, and live a comfortable and prosperous life. I believe that ninety-nine percent of Chinese people will choose that second door. Those who choose to remember are perhaps one in ten thousand, a tiny minority who can be overlooked. They have no power to influence. The problem is that twenty years have passed. The result of this collective amnesia is that the problems have been mounting up. There is widespread corruption and official profiteering. People have no belief systems. If these tragedies are not accounted for, and if the government is not held to account, the problems endemic in the system will cause meltdown. What China has lost is any sense of moral and ethical values. But the government itself knows that this process of whitewashing is wrong. The guilt about it is great. They would convene meetings every year warning newspapers not to mention the anniversary, not to talk about this event. But they refuse to write this order down. It will only be passed on through word of mouth. They know what they are doing is wrong. JK: What can the Chinese people do to combat this collective amnesia? MJ: There are two options. One is that you become a dissident, an outcast in China. There are a small number of writers with a conscience who have written about these matters. There are the Tiananmen Mothers who have been working hard for fifteen years, and their constant struggles to be able to commemorate the deaths of their children. Finally, little chinks of light are appearing. A couple of years ago at last they were able to burn spirit paper at the spot where their children were shot. They are fighting and at last there are tiny little chinks of light opening because the Party realises it is in the wrong. A small minority keep pushing at the walls. Or, you can leave the country. There you can say and think what you want, but it has very little effect back in China. It’s a very weak voice. But this is a question of right and wrong. It is very absolute. This has been undetermined, but one day the truth will come out, and the verdict will be reversed. JK: What role can other governments and nations play in this? We have all seen the protests that have taken place before and during the Beijing Olympics. How can the rest of the world successfully influence China on human rights? MJ: China is like a big fat businessman whose pockets are stuffed with money, and everyone around the world wants to be its friend. When Jiang Zemin was welcomed into Buckingham Palace, I thought this was a terrible insult, a very shameful thing to do. This made many liberal-thinking Chinese people question Britain’s democratic and moral values. The West has been seduced into thinking that China has rid itself of its Marxist ideology. That it has been through peaceful evolution and become a country that can be embraced by the rest of the world. Some Chinese believe that it is a wolf in sheep’s clothing. It is still the same beast inside. The West is currently very involved with the Chinese economy. It should realise that in agreeing to cooperate with a tyranny, its own moral ethics have been compromised. It has lost its right to take the moral high ground. China is now the big brother of tyrannies of the world. It is the most successful tyranny in the world. It is showing the world that you can be both a tyranny and economically prosperous. The West hasn’t realised that China is trying to challenge the Western democratic system. They want to build something that is in conflict with the Western democratic system. When people can stand up and say, ‘Look, oppressive systems or tyrannies can be more successful than democracies’, this will be very dangerous for global ethics. In fact, lots of the younger Chinese people have a great deal of disgust for the West and hold it in disdain. This younger generation of Chinese students abroad, holding the red flags and protesting against the West, hold a hatred for the West that is possibly even greater than they have for Party officials. I think this present generation may be even more dangerous than the past. JK: Are you suggesting, for instance, that another Tiananmen massacre could happen? MJ: In the outlying areas like Tibet and Xinjiang, within the minorities, they have to face this June 4 mentality every day – that the government will still willingly massacre people on the streets. Among the Chinese Han population, I think it would be difficult. But the Han people would support such massacres of minority populations. MJ: This is a question for myself, for Dai Wei and hopefully for the reader as well. We are always confronted with three questions in life: where have we come from, where are we and where are we going? During these ten years, Dai Wei is always trying to establish where he is now. He is always asking himself, where am I? At the end, he has to confront this question, where will I go? I want my question to be, where can I go now? JK: Is there hope for those who want the truth about Tiananmen Square to be revealed? MJ: I hope that within the next ten years the official verdict on the Tiananmen massacre will be reversed. I hope that the younger generation of Party leaders will understand the need to democratise, because there is no other path they can take if they hope to survive. They will have to learn that you can’t just introduce the Western economic system without satisfying people’s democratic need for freedom of expression. These two aspects depend on each other. A tyranny will always see the people as enemies of the state. This is something that can’t exist in the long term. Just looking at how the government reacted to the earthquake, the Party allowed there to be a national day of mourning. This is the first time in millennia of Chinese history that the state has officially mourned the death of its citizens. When you look at the earthquake in 1976, nothing happened and many thousands more people died. The government creating this day of remembrance will mean that people will think back on this tragedy, and also on other tragedies – like the Cultural Revolution and Tiananmen Square. It will be a catalyst for the idea of the importance of individual lives and of lives lost. It will spur people to remember other events. JK: Do you miss China? Is it hard to be a writer in exile? MJ: I like the Chinese. I like Chinese food. I like the absurdity of China. I also feel I have to keep returning to China, because only when I am there does my writing come alive. You have to be immersed in the sounds of your country to be able to write them, to listen to the way people speak. To remain in exile too long can be dangerous for any writer. I am always aware of how far I can go politically, because I don’t want to cut off the possibility of returning. I will give talks at universities and freely express myself, but I won’t take the next step of leading a protest outside the Chinese embassy because I know that could cut off my links. If I remain as an individual writer, as an independent voice, and don’t join any political organisation, I hope that I will remain safe. JK: How do you feel about Beijing Comanow? MJ: Having finished writing, I can’t bring myself to read it all the way through. I can only read short sections. It is a strange feeling when you finish a book. Part of you wants to completely abandon it – another part, it’s something you have given birth to, and will always be connected to, and you want to look after it. I need to create some distance because I don’t want this book to influence the writing of the next. JK: Do you know what that next book is? MJ: Whenever I talk about the next book I am writing, suddenly three months later, somebody else has written it. JK: Before we end, I want to ask Flora about translating Ma Jian’s work in general, and Beijing Comain particular. Do you collaborate closely on the English language versions of his novels? FD: There was intense collaboration. I had constant access. Beijing Comatook him ten years. It took me a year and a half. I have translated all his other books, but this was beyond anything. It felt like eight years compressed into one. I couldn’t have done it if he wasn’t in the next room. I had questions for almost every sentence – wanting to know what was behind every image. JK: What are the specific challenges the language presents? FD: It is so hard. Ma Jian’s Chinese is very spontaneous, direct and simple, but every word and image has some philosophical and poetic depth to it. It’s very easy to make a literal translation, but it becomes very wordy, and pompous. But then it is difficult to replicate what he did in the Chinese, creating this language that is very pure and concise. The whole challenge has been to chip away at the wordiness of English and try and create something that is as concise and fluid as the Chinese. JK: I was especially fascinated by the short lyrical sections that divide the prose? Were they a particular challenge? FD: In Chinese, those are poems. They are set out in stanzas. It was impossible to render them as English poetry. They are like Chinese classical poetry, which is very concise, but every word matters and has different levels of meaning.